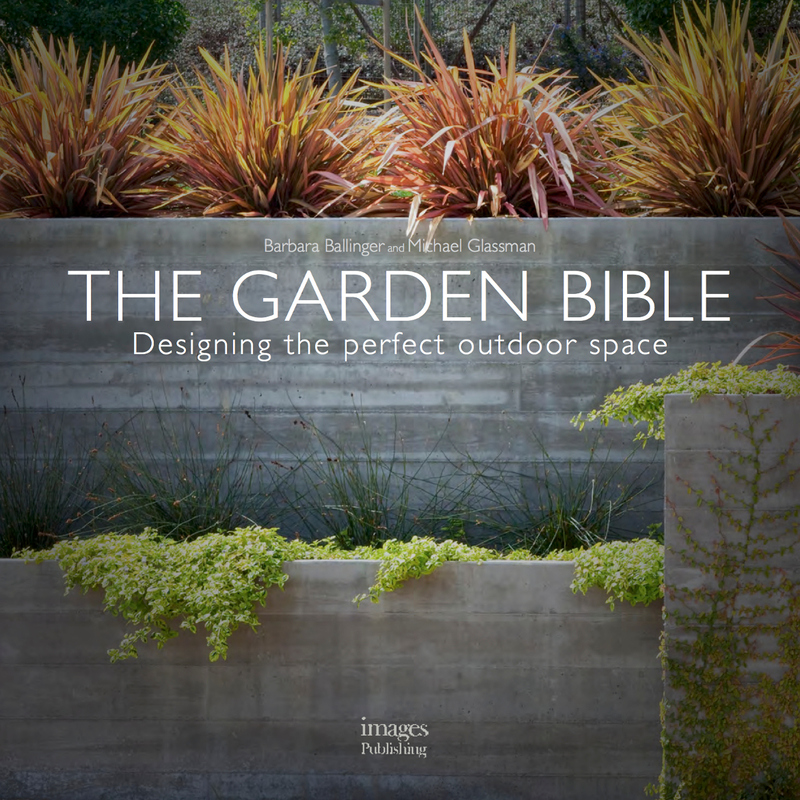 Michael's new book, The Garden Bible, written with Barbara Ballinger is a comprehensive guide to landscaping. It covers topics ranging from developing a master plan, solving problems in your yard, hiring professionals, and using design principles for building a beautiful and functional garden. The book features before and after pictures from landscape designers all over the world. I have been awarded “Best Of Houzz” for Customer Satisfaction by Houzz, the leading web-based platform for home remodeling and design. "Michael Glassman & Associates was chosen by the more than 25 million monthly unique users that comprise the Houzz community from among more than 500,000 active home building, remodeling and design industry professionals." In 2013, I made this video with Houzz about landscaping the steep front yard of my clients, Beth and Larry Goldberg. They had a real challenge on their hands after they purchased this hillside home. Narrated mostly by Beth and Larry, we tell the story of how good, problem-solving landscape design addressed their slope and parking problems using rusted iron retaining walls filled with interesting drought tolerant plants and a parking bay. In solving the site's unique problems and listening to Beth and Larry's aesthetic sense and wish list, we created a cohesive, functional and beautiful front yard. Here is a video I made with Oodlebox TV where I demonstrate how to use brightly colored specialty glass mulch to enhance and add an artistic touch to your landscape. Here is a video I made with Oodlebox TV where I discuss the problem of mixing too many different types of hardscape materials in a landscape and suggest ways you can use complementary materials to create cohesive patios, walls and walkways. Here is a video I made with Oodlebox TV where I demystify bamboo. I discuss the differences between the non-invasive clumping bamboo and invasive running bamboo, and then show you how to use clumping bamboo in your landscape. Here is a video I made with Oodlebox TV where I discuss how to use different kinds of plants as focal points or accents to give structure to your garden. Here is a video I made with Oodlebox TV where I discuss a handy tool for changing irrigation systems. Here is a video I made with Oodlebox TV where I discuss one of the most common landscape problems: privacy. There are a number of ways to address privacy problems with plantings that are beautiful all year round. This video I made for OodleBox in about 2007, is relevant 8 years later as we face the current drought. In this short clip, I give some basic suggestions on how to conserve water in your garden. Here is another video clip on water conservation that I made for Rain Bird irrigation systems. In this video clip I made for Rain Bird irrigation systems, I offer tips on how you can get the most out of your current system. A common assumption is that the secret to having a green and healthy garden is water, water and more water. This is not a good approach and I show you better strategies. In this video clip I made for Rain Bird irrigation systems, I give you some tips and tricks for installing a drip system. Drip systems are an excellent way to save water as long as you maintain them carefully, especially in areas where the water is hard. In this video clip I made for Rain Bird irrigation systems, I discuss how to determine if the plants in your garden are getting the proper amount of water. In this video clip I made for Rain Bird irrigation systems, I discuss how to choose the right plants for potting, how to place them in the pots, the best way to water them- and more! In this video I made for Rain Bird irrigation systems, I give homeowners a few tips on how to properly fertilize their lawns, shrubs and trees. Here is a spot I did on KCRA TV about how to use garden trimmings from around your neighborhood for Christmas wreaths. Aired December 04, 2008. Here is a feature I did on KCRA TV about landscaping in Sacramento, including the using tile, old windows and other items for outdoor decorating. Aired January 23, 2008. Here is a segment from KCRA TV where I make suggestions on how to use yard clippings for creative decorating. Aired November 7, 2007.